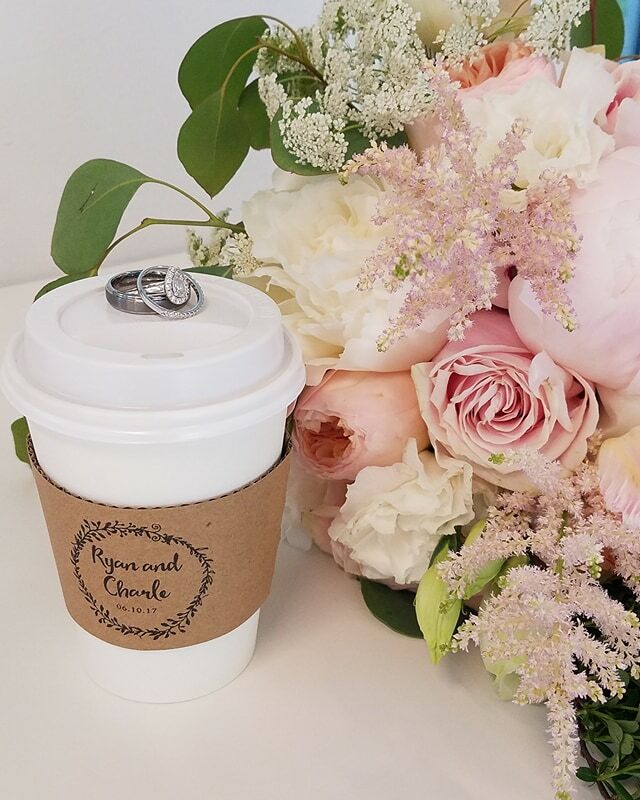 3 of our favorite things, Weddings, Brunch, Coffee and the McCaul Brunch Wedding encompassed them all! 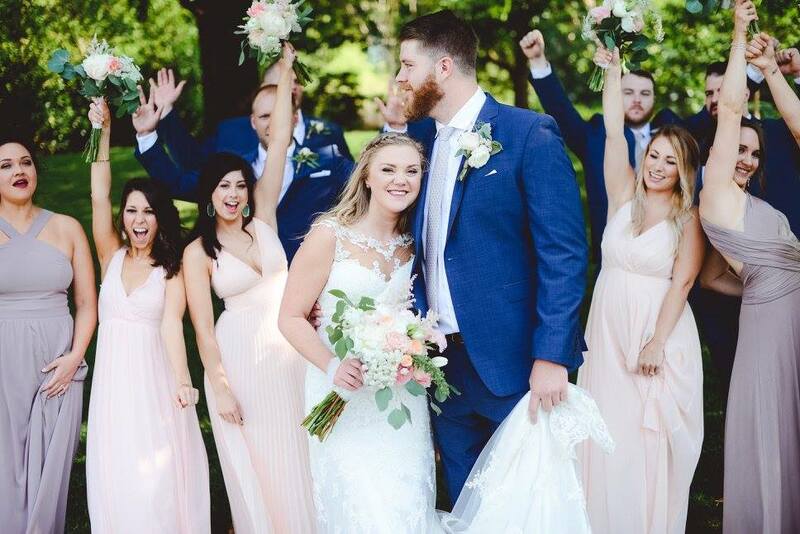 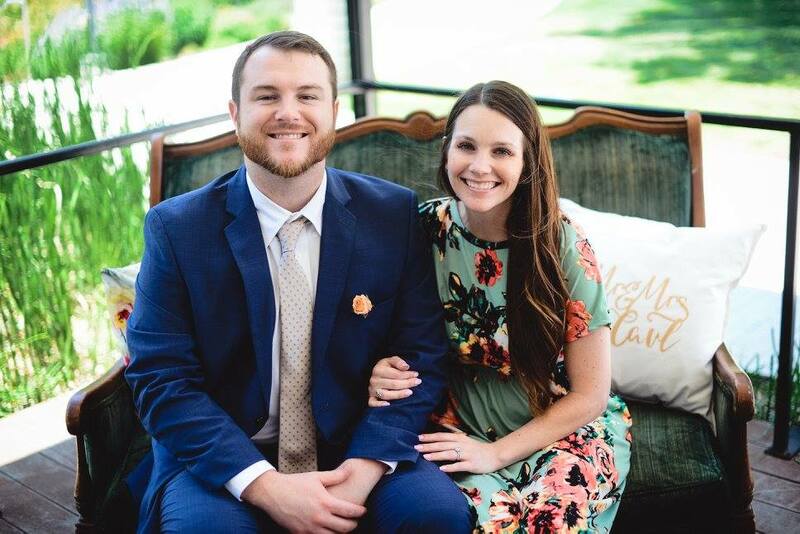 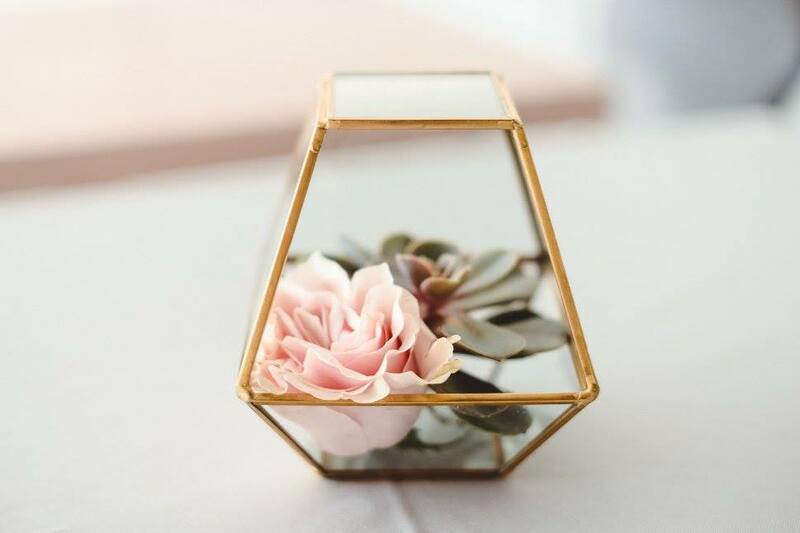 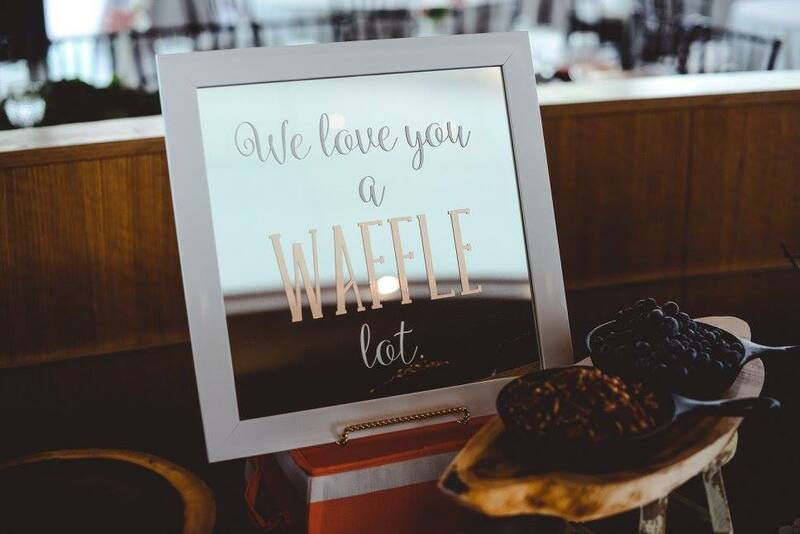 Wanting to spend their wedding day enjoying one another and their wedding party Charle & Ryan opted to have an early brunch wedding kicking it off at 10:30am. 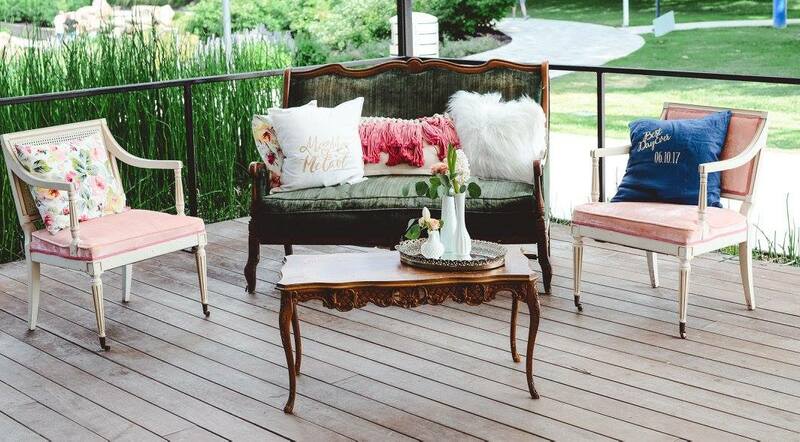 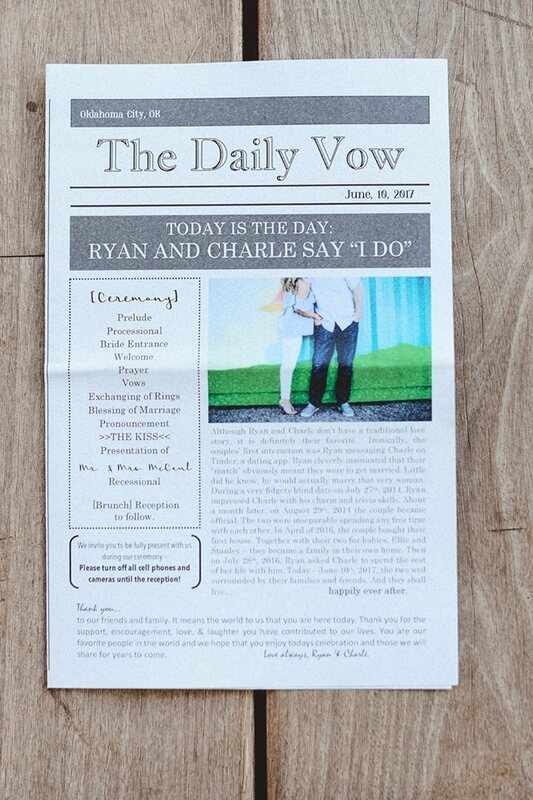 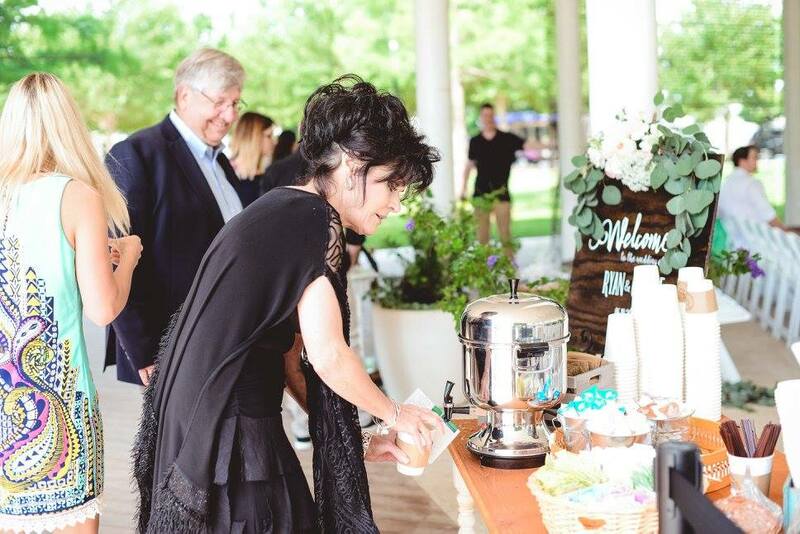 Guests were greeted with a warm cup of joe complete with personalized coffee sleeves at a sweet little outdoor coffee station, as well as the cutest program “The Daily Vow’ newspaper outlining the day created by the Bride. 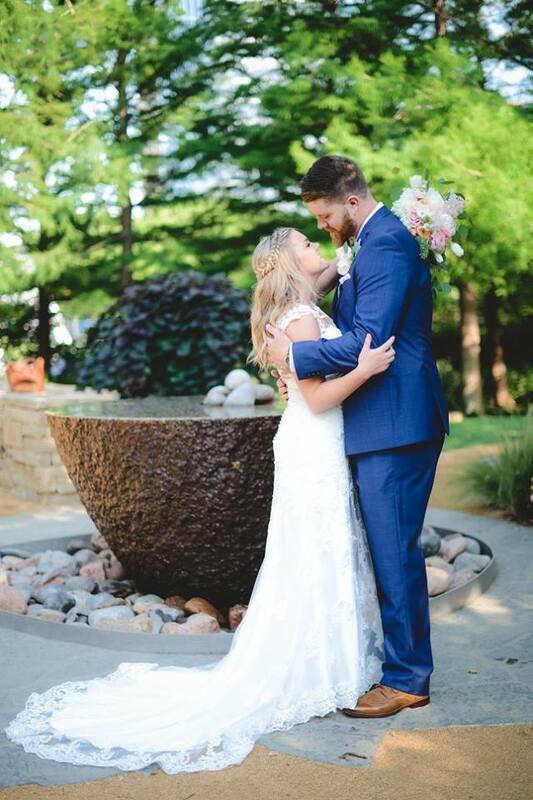 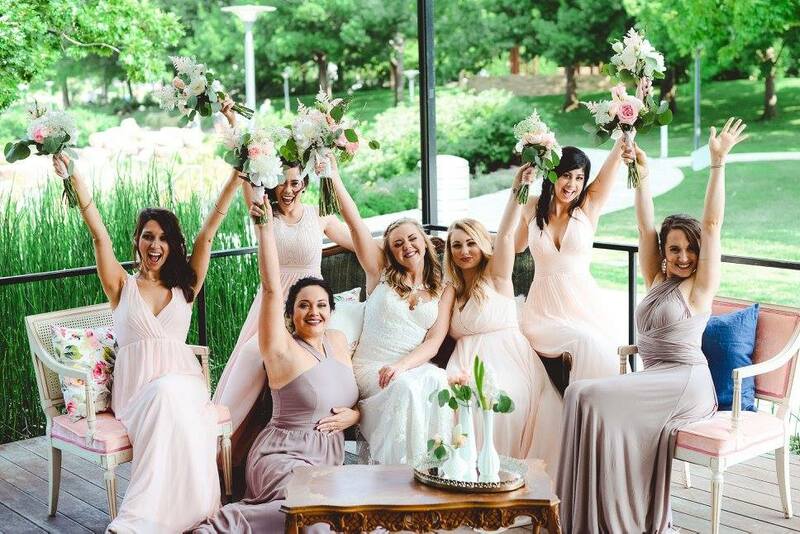 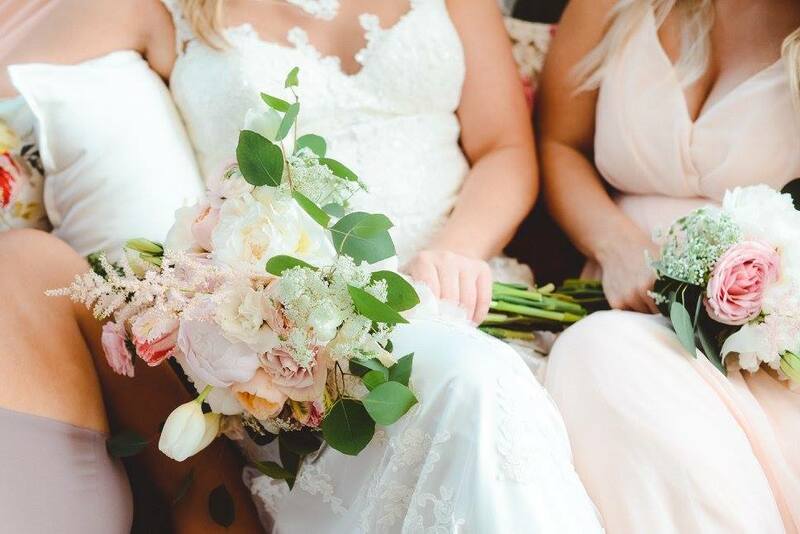 Choosing pastel colors, natural wooden accents, beautiful blooms and angled florals by Yours Truly Floral Design for the ceremony, allowed Charles wedding dress from Beloved Bridal of Norman to shine against the Myriad Gardens lush green backdrop. 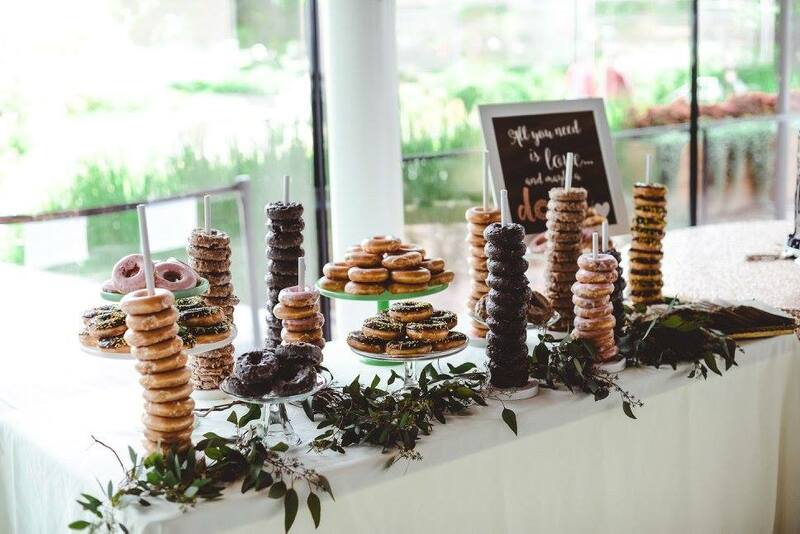 Immediately following the ceremony guests were invited to the sweetest brunch reception at the Park House complete with a breakfast feast, donut bar and Bloody Mary station created by Liz Howe & Blue Label Bartending. 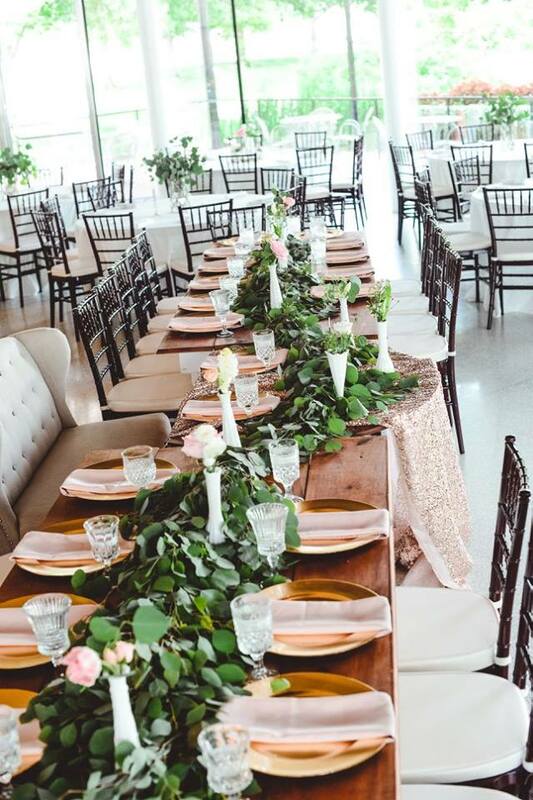 We loved seeing our Heritage Farmhouse Tables set up as Charle & Ryan’s Kings Table, complete with the Florence Settee as their specialty seating to create the perfect place for the couple and wedding party to enjoy. 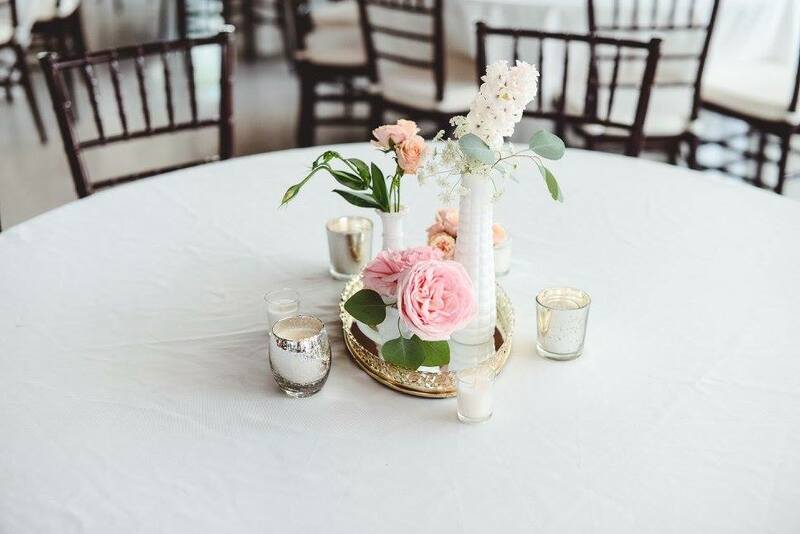 Laughter and music filled the Park House as guests gathered at beautifully decorated tables full of centerpieces by Yours Truly Floral Design and Borrowed Charm. 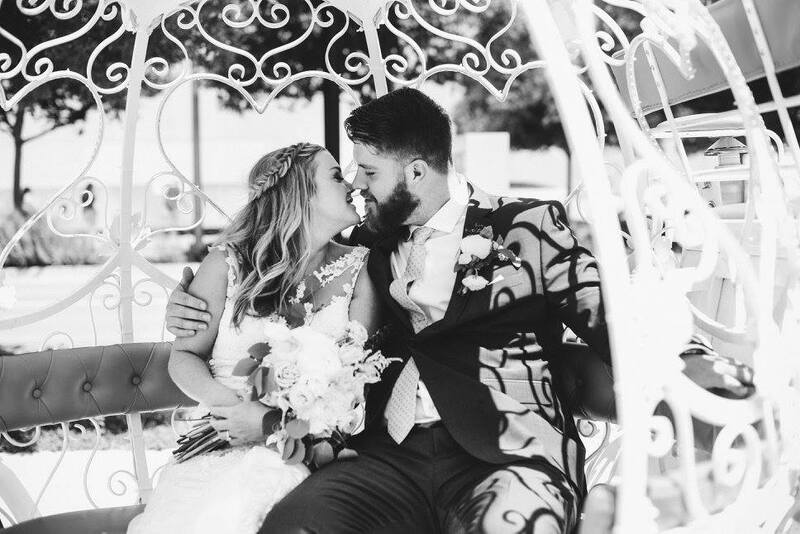 Sounds by Scott created the perfect mix of a romantic and upbeat environment creating the most enjoyable morning celebration. 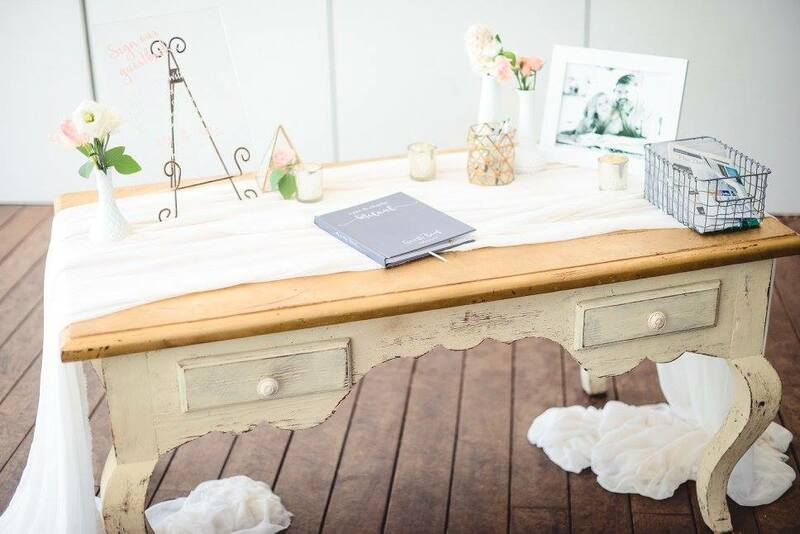 We paired together some pieces from our upholstered furniture collection to create a beautiful lounge for her guests to enjoy throughout the reception. 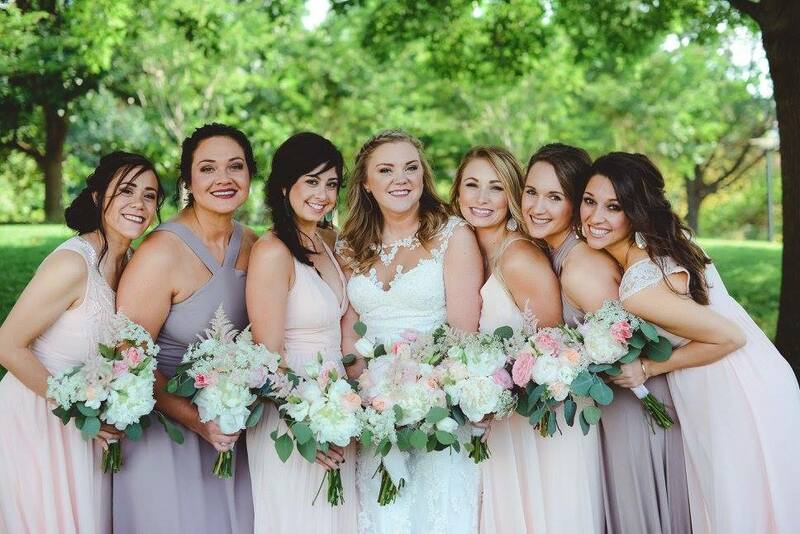 It was also the perfect pre-ceremony place for wedding pictures of Charle & her maids. 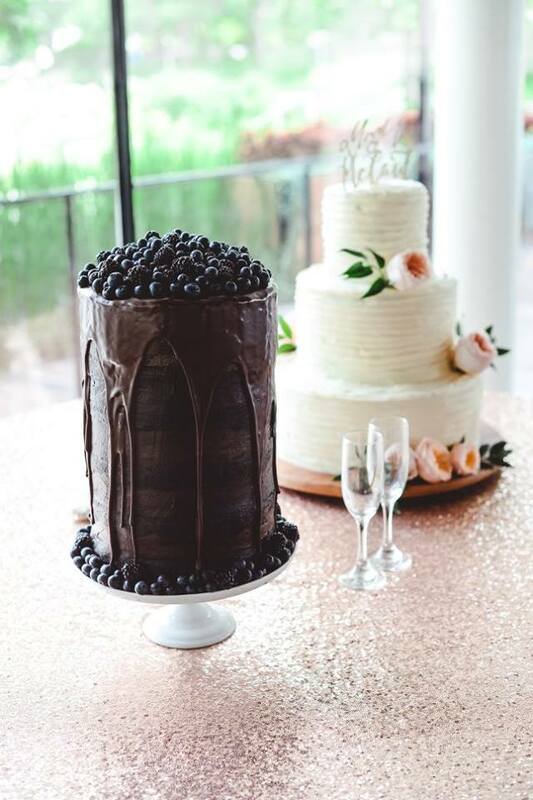 The cakes by Kristin Cardell were not only beautiful but as tasty. 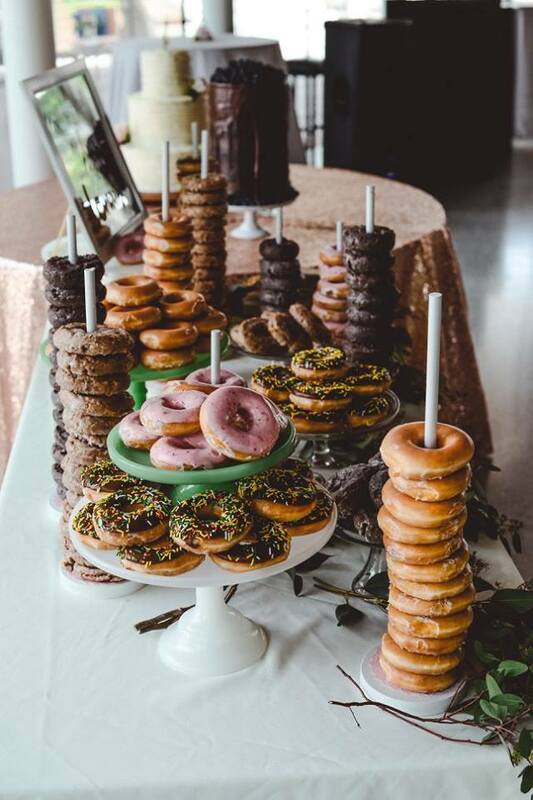 A crowd favorite was the donut bar which was a huge hit with guests at the reception. 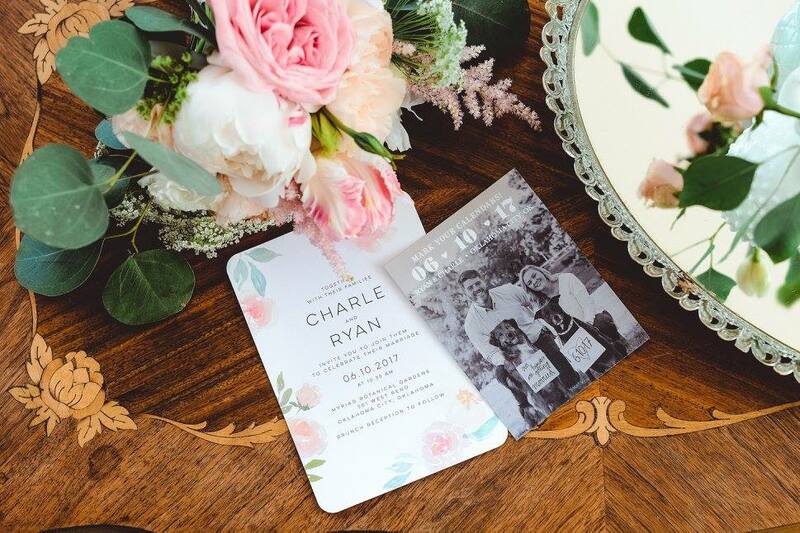 A favorite personal touch, Charle and Ryan gifted their guests with the cutest mugs! 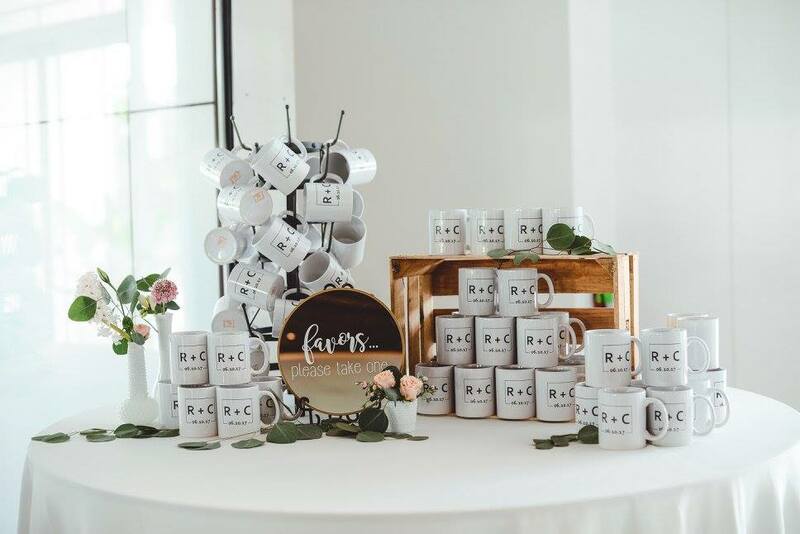 They featured their initials and wedding date as a fun reminder of their beautiful day as they drink their morning (or in my case all day) coffee! 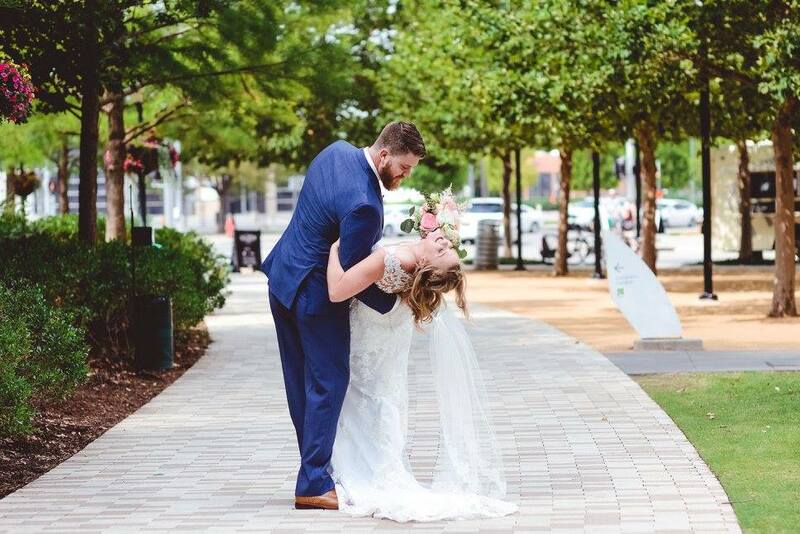 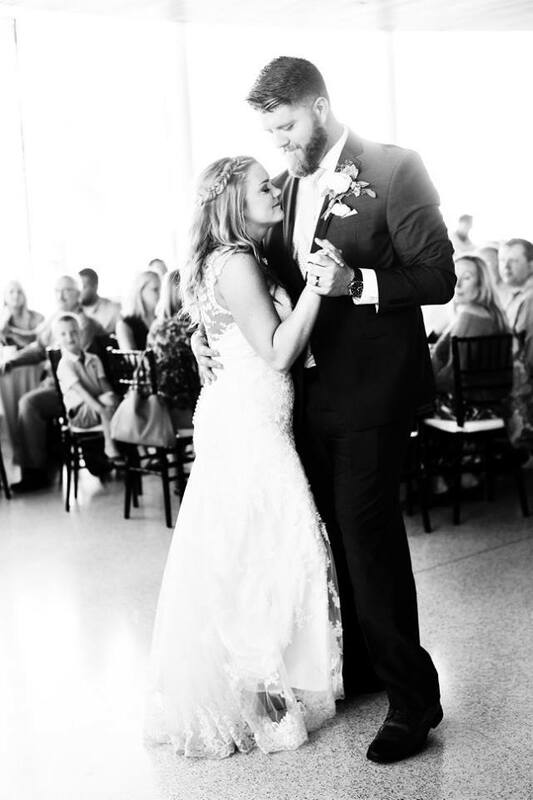 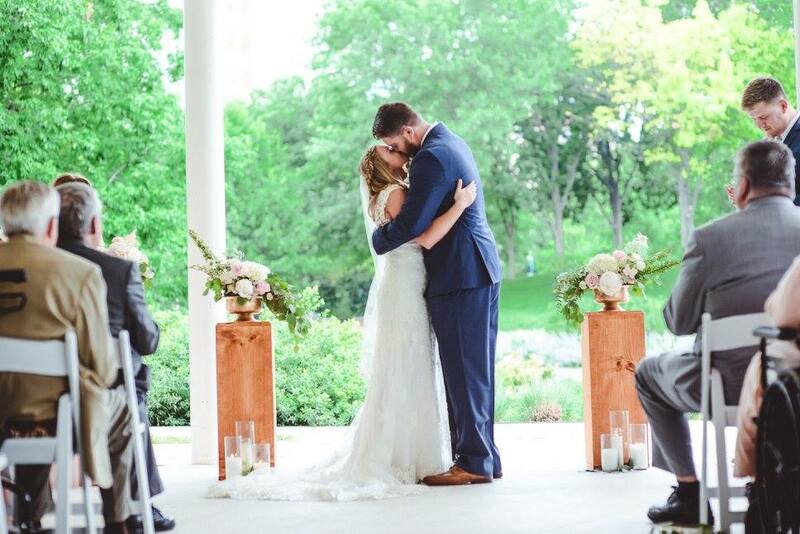 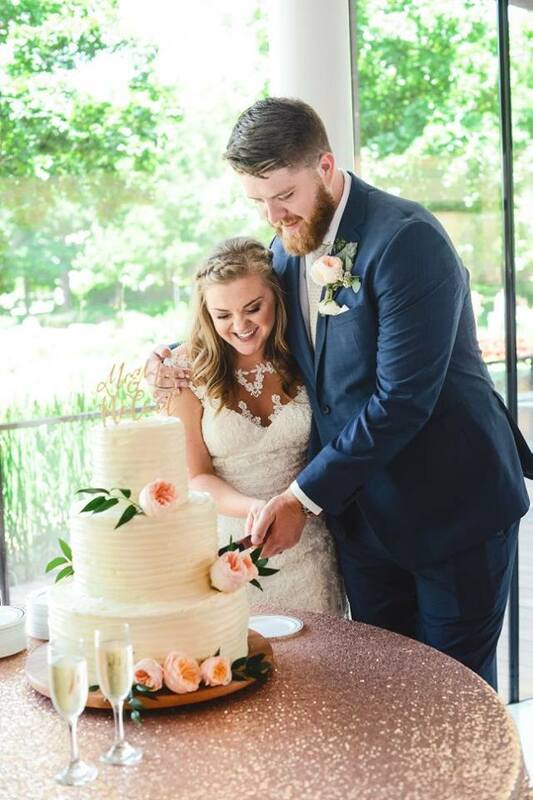 Borrowed Charm loved being Charle’s Wedding Planner, designing their wedding with Charle and creating this special day for this beautiful couple! 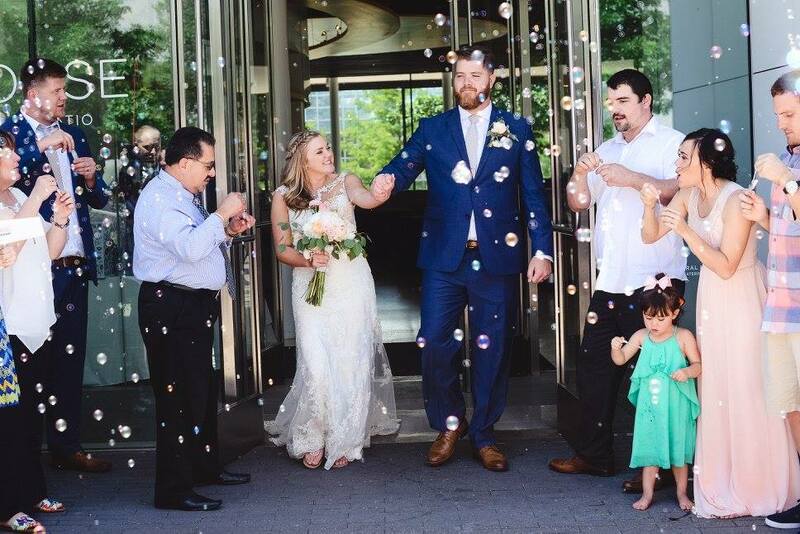 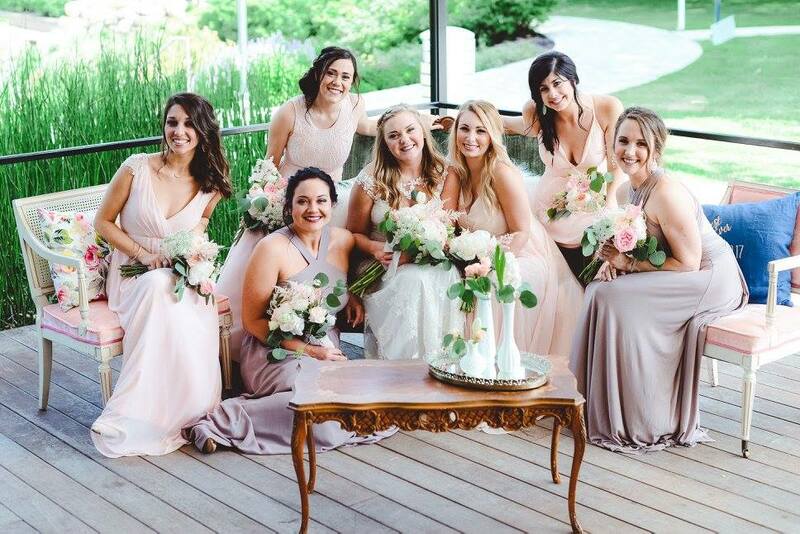 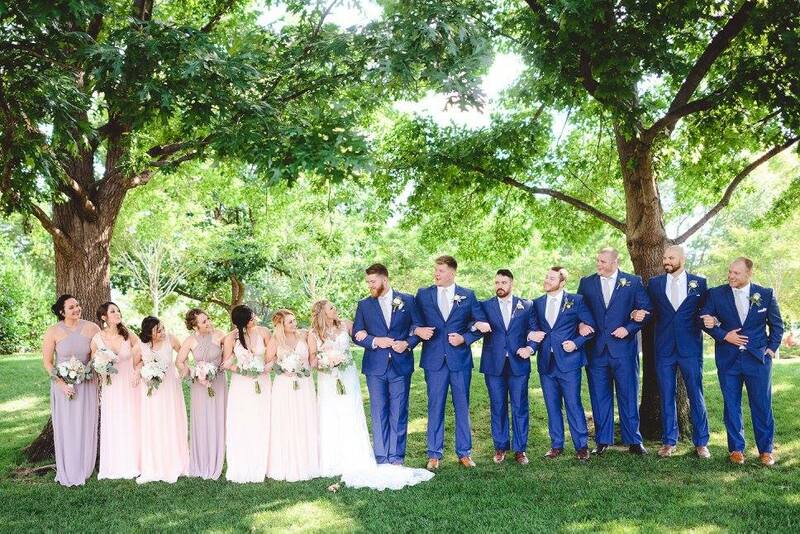 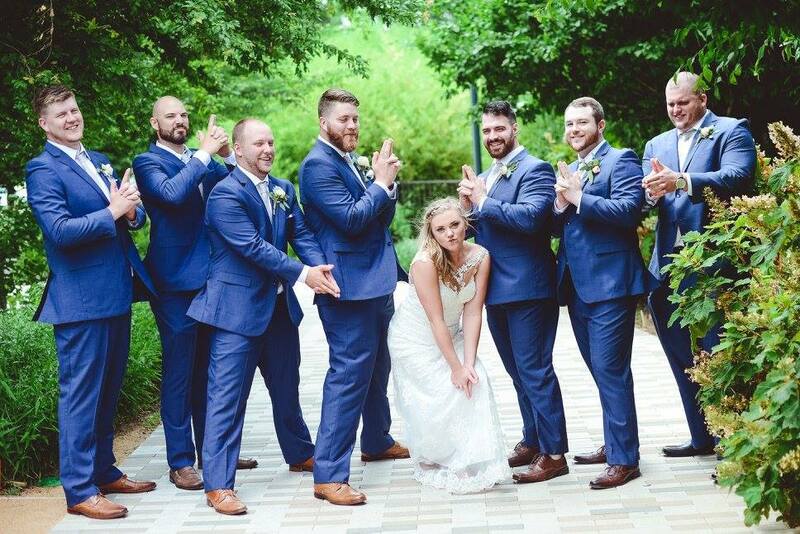 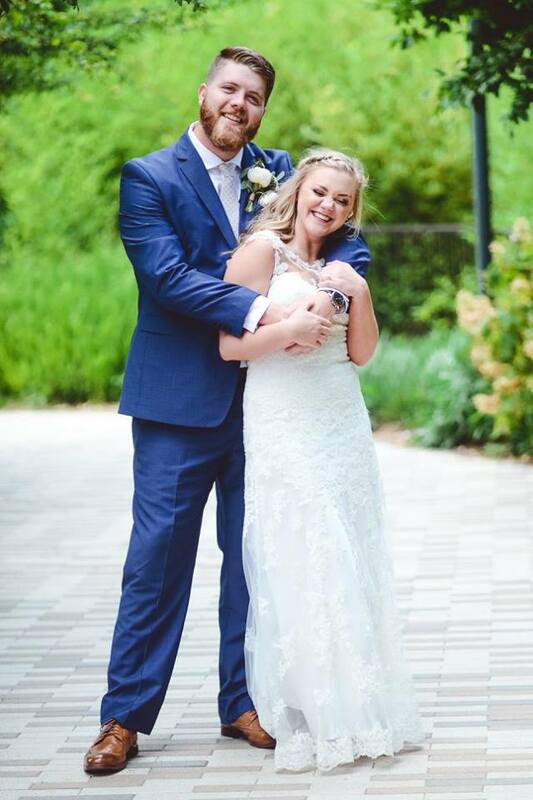 We’ve shared more photos from Valerie Sebestyen of their beautiful day below and can’t wait to see the video Jenkins Cinema created!